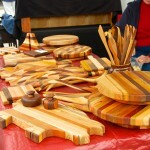 Before starting Cody's Woodworks I have always enjoyed working with wood. 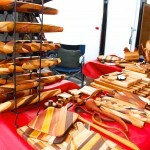 Since my retirement, this hobby has been very fulfilling and eventually became Cody's Woodworks. I am very particular about the wood I use. I travel to saw mills in Maury, Lawrence, Giles, Dickson and various other middle Tennessee counties. 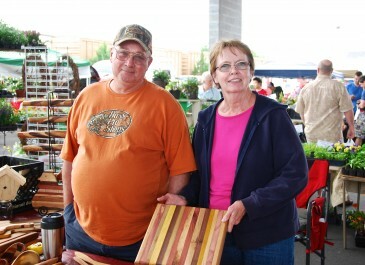 I select kiln dried wood that is straight, free of knots and fractures. 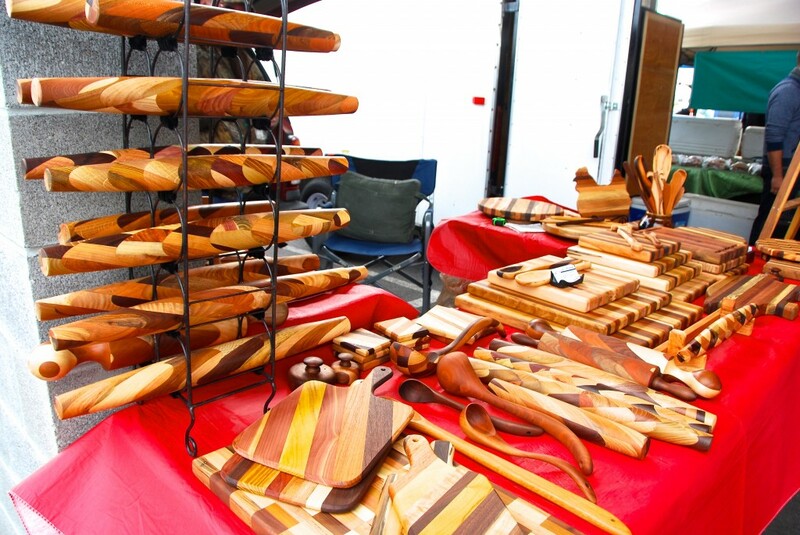 I like to use many different kinds of wood in my products such as walnut, osage orange, maple, cherry, hickory, poplar, red oak, persimmon, honey locust, red cedar, white oak, red elm, river birch,and ambrosia maple. 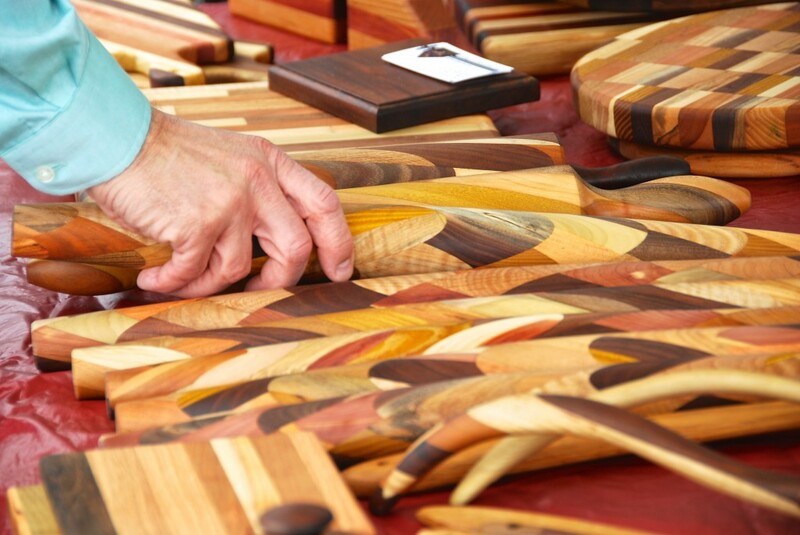 Each type of wood has its' own characteristics such as color, hardness, and texture. 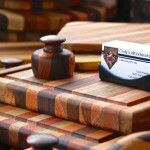 At Cody's Woodworks I like to combine the different types of wood to give each item its' own unique look. No two items are hardly ever the same. Once I've selected the wood, the wood planks are sawed to length and then to width and planed to a desired thickness. Next planks are glued together and left to dry for several hours. Then they are planed again. 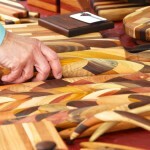 A lot of work goes into creating each piece that I make for Cody's Woodworks. The rolling pins are shaped on the lathe. 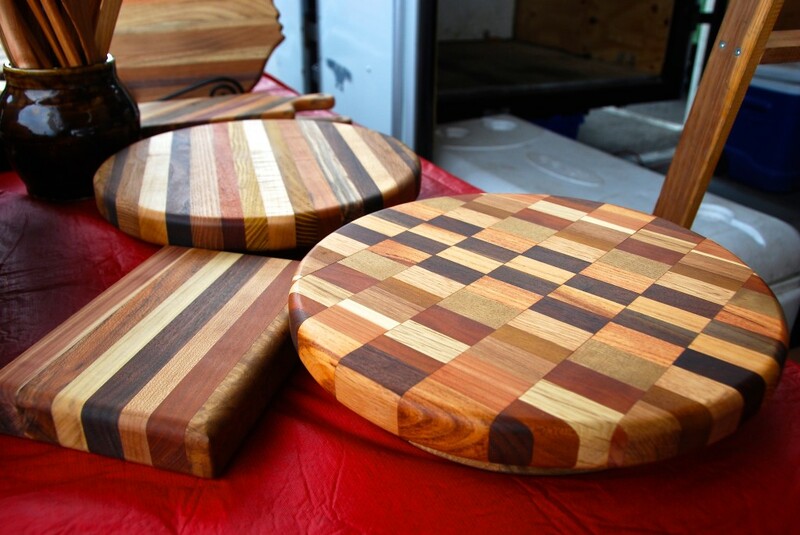 Everything is hand sanded and oiled. 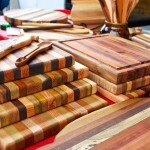 I use only mineral oil which is safe for food and it gives the wood a deep, rich look. 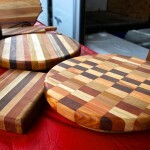 I have been making these kitchen wood products for more than four years and I thoroughly enjoy it. I'm happy to say that my customers like what I do and that I have many repeat customers. 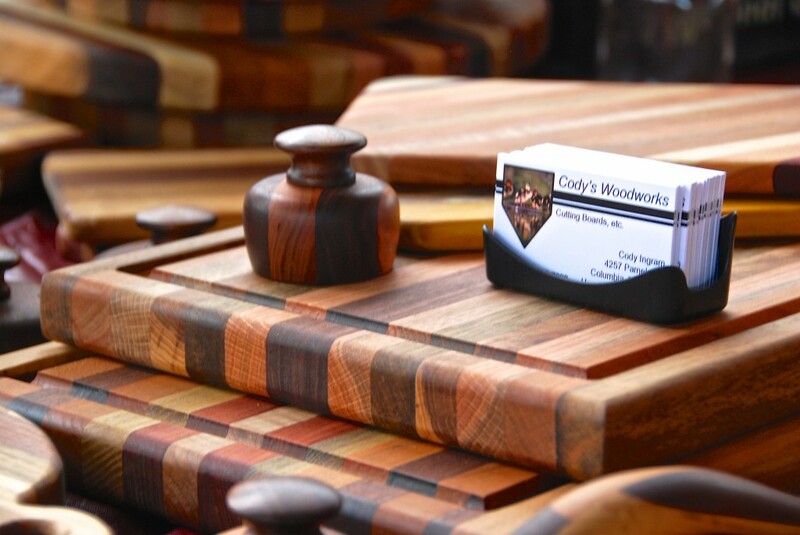 Cody's Woodworks products have gone to 33 states and 15 foreign countries. 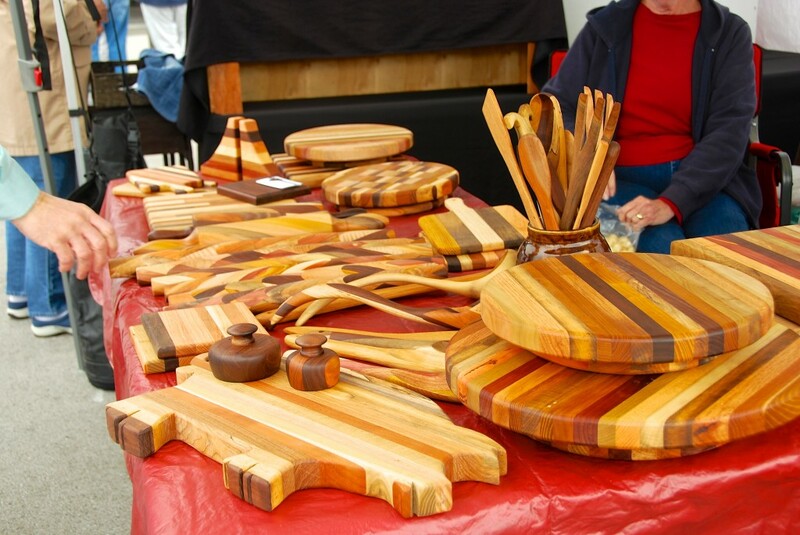 The Franklin Farmers Market has been a great place to show my work to a lot of people and I enjoy meeting everyone who stops by my booth. 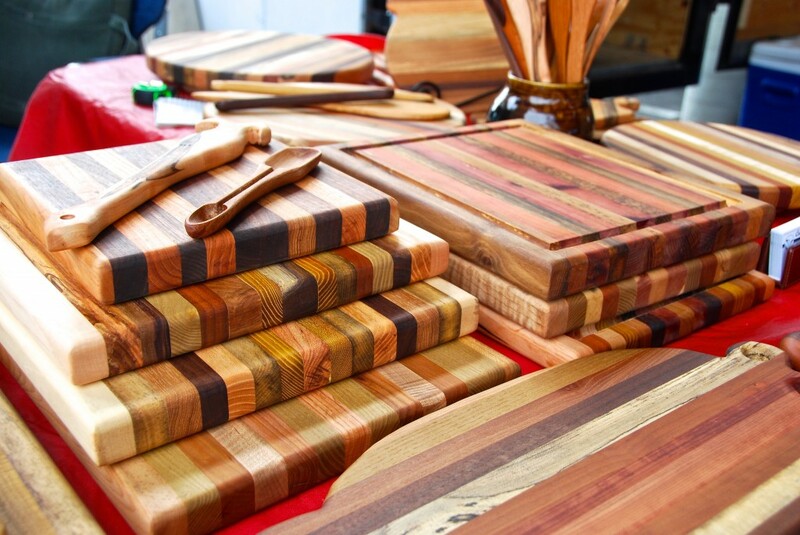 I hope to see you soon at the market and would enjoy showing my rolling pins, cutting boards, lazy susans, wooden spoons and so much more of my artisan wood creations. Love your work! It is all so beautiful! I buy a new piece every time I visit my Mom and sister in Franklin! Do you make wooden coffee scoops? Can’t wait to visit again the end of October!